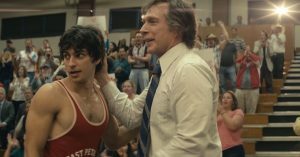 American Wrestler: The Wizard is a compelling underdog story with a cultural twist. The themes of cultural discrimination are just as relevant today as they were in the 1970s. If you are looking for some inspiration and an example of how courage and perseverance can lead to incredible possibilities, then this film is definitely one you won’t want to miss!